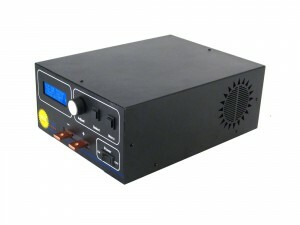 https://www.youtube.com/watch?v=OYhrRUmcijQThe 2.5 kVA AC welders are ideal for resistance welding. An internal transformer provides ample power for various resistance welding applications, and the welder’s internal micro processor allows easy set up and programming for any complex resistance welding project. These AC spot welders are capable of resistance welding material p to 0.1 inch in thickness or all the way down into the micro-scale. The AC1025 Spot Welders are computer controlled spot welders and include thermal protection monitoring.